The wonder of geology, to me, is that it’s so much more than a study of inanimate rocks and stones. It’s a history of our planet, of life on Earth, and even of time itself. The landscapes and seas around us, our climate, the plants and animals we depend upon to live, the resources we use whenever we go anywhere or make anything – geology is a route towards the understanding of all those things. Every historian and foreign correspondent knows that in order truly to know the present and to predict the future, we have to understand the past. And that is what geology gives us. Geology is a unifying discipline, which borrows so much from other science, and puts it all together to reveal the history of our planet and of life both past and present. It’s so much of what we know about our world, and about ourselves as well. But there’s a debate going on, right now, in the most developed country in the world, about whether any of it is true. Education is so important in all our lives. I hope that today’s children will learn as much as they can about science and philosophy and art and history and literature and languages, and about all there is to know. And yet, in so much of America today, they really don’t want that to happen. 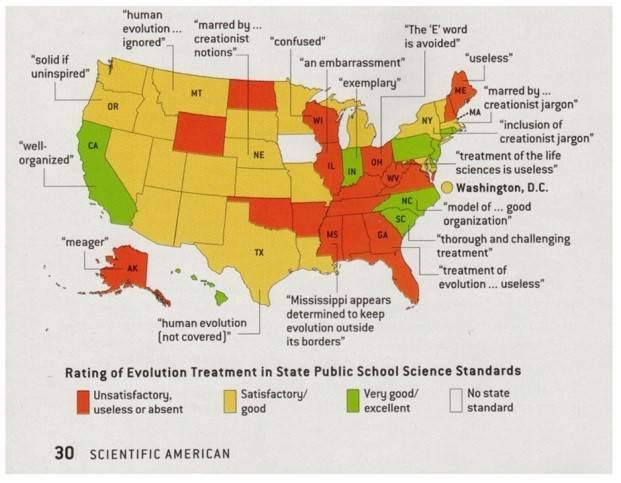 The astonishing map below featured on strange maps recently, and it shows how the subject of evolution is taught in schools within the United States. As well as how it isn’t. Because in much of the most advanced nation on Earth, evolution is a dirty word. To the education authorities in one third of states, it seems that evolution is not to be taught as part of the enlightenment of science. Instead, it is to be presented as an uncorroborated theory, a parallel alternative to the religious doctrine of Intelligent Design, or worse, as a blasphemous denial of the truth which stands in the Bible. Different people have different views, about many things. Some will encourage the rich to make more money to lift society as a whole, whilst others would focus on the poor and those least able to help themselves. Some people are sternly religious, whether they are Christians or Buddhists, Muslims or Jews, Hindus or Sikhs, whilst others are not believers at all. And it’s always been my view that the more we learn and understand about those different points of view, the more easily we can all live together. But, at a certain level, scientific discoveries are just not opinions, any more. You can debate the very finest detail of the process, but to deny the existence of evolution today, you might as well protest that the world is flat, or debate why Newton’s apple fell. And there’s just no reason for censorship or moral indignation – because an acceptance of evolution isn’t contradictory with religion. 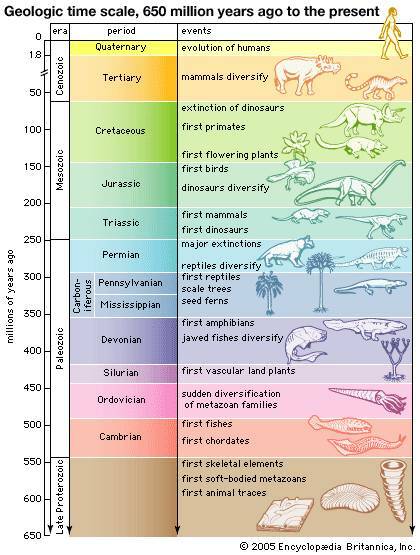 Evolution is nothing more or less amazing than the simple and yet devastatingly effective mechanism which has resulted in all the biological and palaeontological diversity which has ever existed on our planet. So much of what we know today reflects the advances made by scientists all around the globe, over the last two hundred years or more. America has been at the forefront of scientific progress, for nearly all that time. You might reasonably think that in America, more than anywhere, people would want to look at and understand the evidence, all of the evidence, and make up their own minds accordingly. And yet, a huge section of that country would now deny all this wonderfully enlightening and unifying knowledge. To pretend that it has never been discovered, to purport that this understanding, which dates back to Darwin and beyond and has so long been tested and refined by all the geneticists before and ever since, is somehow now the subject of realistic debate or contention. And to declare that for some reason it might be unsafe to share with our children. 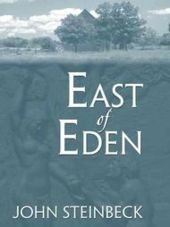 This entry was posted in 2007, divided by an ocean, environment, evolution, geology, science. Bookmark the permalink. I’m not kidding, Roads, I agree in all respects. I’ve stated it before…science brings me closer to “God” not pushes me farther away. The more I learn, the grander, the more magnificent, the greater the “Awe.” Geology gives us a peek at the wonder of it all, the breadth and sweep of the cosmos and all life. Those who reduce “God” to words on a page (highly debatable words, at that), those who define “God” in human terms, (thereby greatly dimishing the Awe), do neither God nor the rest of us any favors. An interesting aspect here is that there is no serious debate on this in Europe. 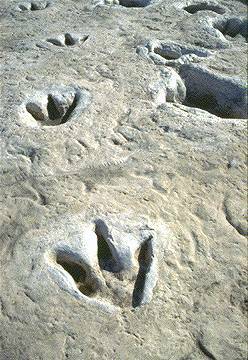 Old, outdated and fusty continent that we are, evolution is taken as a given fact, across the political and religious spectrum. Perhaps 150 years after Darwin, we’ve simply become comfortable with the idea. It’s taught in all our schools, across the continent. I’ve never heard a European religious leader seriously dispute the existence or even the mechanics of evolution, whether it be the Pope or the Archbishop of Canterbury, and neither has any political party declared an axe to grind. I can’t satisfactorily explain that philosophical differential in my mind. Sometimes I wonder whether the Atlantic might not be opening faster than we think, but I really hope that isn’t true. Europe had its Enlightenment, and set course for a secular society. No wonder, given that religion had fueled countless conflicts and bucket of blood over many centuries. We need an Enlightment here in the States. We’ve allowed “Christianity” to permeate our politics, greatly polarizing the society. Fundamentalism, of any stripe, narrows and diminishes the mind…negates free will. It’s a bad, bad trend here; made worse by corporate financing…Corporatists have tapped into the power of religion to exploit. The Christian Fundamentalists have done a lot worse than drive evolution out of the classrooms (Supreme Court just ruled a law banning late term abortions is a-o.k., even if the mother’s life is threatened) but I could rant about that for pages. Another aspect to the issue is that math & science scores are declining in the U.S. I don’t think average parents view science as a terribly important life skill so they’re not likely to fight the issue. Yes, Jonas, Europe has seen so much conflict over the centuries, that it’s quite remarkable to see us all getting on with each other, more or less. That is a great contribution of the European Union which many detractors fail to recognise. And Elayne, the decline of science as a school subject is well underway over here, as well. Applications for science degrees at UK universities have been in steady and worryingly steep decline for some years. During the 90s it was Business Studies which proved increasingly popular. Now it is Media Studies and Film which are at the top of the youth aspiration list. If just a decade ago kids in this country wanted to be rich, then now they simply wish to be famous instead. Meanwhile, most teenagers now only study ‘double science’ – a two-credit alternative to the rigour of learning physics, chemistry and biology separately. That frees up space in the timetable for a wider range of subjects, though, which is No Bad Thing. The old (and sometimes justified) criticism of our scientists was that they were semi-illiterate and disconnected from the world. The logical parallel, where so many of our most influential decision-makers in recent years have been passionately gifted persuaders, happy to speak authoritatively for all our futures whilst not knowing anything at all about science was every bit as worrying. Not just the parents in this country, but even our government has frequently shown a tendency to believe that science was little more than a set of unimportant and ephemeral trivia. A good student curriculum (and surely a good legislature as well) needs breadth of knowledge in every sense, whilst still retaining an element of factual and analytical rigour – no doubt about it. Ah, thoughtful commentary, yet again, Roads. The grand western empires are in decline, and have been for a century. Asia is rising, full of muscle and hunger. The number of science and engineering students matriculating in China and India dwarfs the “output” of the West. Tides are shifting. I read that the US historically claimed about 90+% of all patents issued. Last year, the share dropped below 50%. Change is afoot. But then, history teaches that all empires are fated to decline and…someday…disappear. I can’t believe my “liberal” state (Illinois) is painted red while the highly “conservative” state next door (Indiana) is green. I’ve always thought Geology is a tough subject to study because you can’t really experiment and make predictions of the future like you can in sciences like Chemistry, Physics or even Biology. It’s better than Psychology though. There’s almost no “science” going on in that field. I was raised by a bible thumping mother (but really nice & kind) and she was aghast at the thought of evolution. “We were made by God in the Garden of Eden” was what she says. When I finally accepted evolution, I was more open to rejecting the notion of God altogether. Now, in my 30’s I believe God to be a complete fairy tale. So, the folks that are afraid that evolution will lead to a disbelief in God have a point. But I say, what’s wrong with not believing in God? Thanks, Perry. I was surprised to see Illinois’ state of flux on this one, too. Like Jonas, I don’t believe that an acceptance of evolution runs counter to religion. Evolution answers some of the questions about the development of life, but it leaves much bigger questions unanswered. Aside from that, I accept that some people (quite a few in some places) don’t believe that evolution occurs, and really it’s the notion of censorship in education on the subject that astonishes me most. As for geology and its ability to predict the future, you might like to take a look at Christopher Scotese’s plate tectonics reconstructions for the future. The disappearance of the Mediterranean is particularly instructive as an illustration of the northward movement of Africa towards Europe. In geological terms, the Mediterranean Sea is a mere fragment of the once great Tethys Ocean which stretched from the Arabian Gulf to Morocco, and on into Texas. And in geological time at least, the Mediterranean is a doomed ocean. I am so glad I found this and the surrounding posts in this section, Roads. What an approachable way you have with a curiously sensitive subject. It sincerely astonishes me how sensible people can debate what is such a beautiful concept: evolution. In my Catholic school (in Los Angeles, CA…green state on the above map) we were taught (in 3rd grade) that Adam and Eve and the biblical story of creation is a metaphor for a divinely inspired scientific process of how our earth has come into being. I never questioned this explanation and love it to this day. There were no “debates” in my school or at home with my parents. Evolution was never denied, but rather embraced by my church. It is still this way at my children’s school (San Diego, CA). I can only shake my head at those who would refuse to recognize the evidence of their five senses…and their intellect. Thanks for this. I am so happy to get lost in your blog. I feel like someone just delivered a whole stack of new books to my front door. Good ones! Many thanks, Lizzie. I like the approach that your Catholic school took on evolution, very much. Religion is irrelevant to evolution. Evolution proceeds within a very few generations, be that of race horses, cattle, beans, poodles or fruit flies, regardless of whether we have given those organisms the philosophical permission to adapt. To pretend otherwise implies a certain arrogance about our own limited place on Earth and within the universe which no geologist could seriously condone. The place of this one species on just one tiny planet at one brief moment amidst the unimaginable reaches of time and space can surely only be a very humble one. It must be almost 25 years ago that I read The Selfish Gene and it remains one of the best and most clearly expounded science books that I have ever read. It changed the way we understood the world. I suspect that it was precisely the whole nonsensical neocon and pseudo-religious backlash against evolution which provoked Richard Dawkins into writing The God Delusion. I haven’t read that book yet, but I had the privilege of hearing Dawkins read from it live at Guildford’s theatre last winter. Dawkins develops many good arguments in that book. And yet, part of me almost wishes he had not written it, since in some small but significant ways perhaps it serves to reinforce the illusion of a religion versus evolution divide. Maybe by taking on the ultra-religious far right so directly he is playing somewhat into their hands, by appearing to acknowledge a link between the issues, when there simply is none. You lost me a bit when you followed a map of the United States with the mention of “the most advanced nation on Earth”. Which criteria did you apply when putting these 2 together ? If one considers “advanced” as meaning “% of citizens aged over 18 eligible to vote and doing so” I think you’ll Belgium topping the table. If instead you use adult literacy as your scale, or enrolment in pre-primary education, all of North America and Western Europe are looking over their shoulders to see where the U.S.A. is. Happy, nay delighted, to see your scientific approach to the subject of evolution vs. creationism, now let’s be equally scientific about why the U.S.A. deserves to consider itself the most advanced nation etc. Hey, you may be right ! No, I would not use voter turnout as a criterion for “advanced”. There are plenty of reasons both moral and practical to be a principled non-voter. 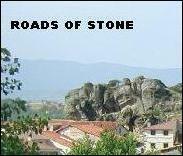 Hi Peter, and a warm welcome to roads of stone. That’s an interesting point, well made. Perhaps I should describe the US as the ‘most developed’ nation on Earth — but doubtless some would say that description would better apply to countries with a much higher population density. The economic, educational and cultural criteria you apply to found your definition of the ‘most advanced’ nations are interesting, and to these we can add established measures of public health, such as infant mortality and life expectancy, too. Here’s an interesting and rewarding book which examines the success of different nations according to a wide range of different parameters: The Spirit Level — Why Equality is Better for Everyone. The authors demonstrate clearly how the most equal societies, amongst them Japan and the Scandinavian countries, fare much better by all reasonable measures of prosperity than less equal societies, notably including the UK and particularly the US, which are characterised by lower standards of public health and literacy and much higher levels of violence. The Spirit Level is not an overtly political book, but it would make fascinating reading for George Osborne and David Cameron — the implication being that welfare cuts in the name of The Big Society are predestined to achieve the exact opposite. Many thanks again. 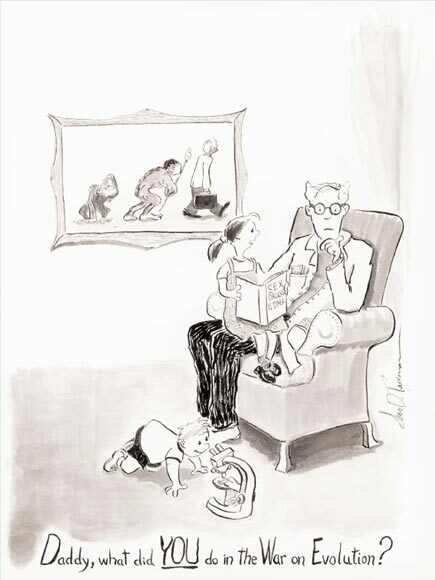 I grew up in California, where Darwinian evolution is treated like a religion. But I question the theory on the basis of lack of scientific (as opposed to circumstantial) evidence. The day the laboratories can produce a living model of, or observe a mutation of one organism of one kingdom, to another organism of another kingdom, I will be a believer. This has never been done without the use of genetic manipulation. I.e., the use of bacterial DNA to create a tomato plant, etc. The theory that our planet has been influenced by extraterrestrial intelligence (DNA) makes a heck of a lot more sense, although is also theoretical. Genome projects may have already answered the riddle, but it’s doubtful the public would be told the truth about it. For now, i guess the Darwin will remain the cover story. Thanks very much for your comment, Christine. Impressive jumps of the kind you describe, from one phylum to another, don’t and can’t occur through a single mutation or even a small number of successive mutation steps. The genetic modifications required to achieve such changes are far too large to be accomplished instantly in this way, whether in the wild or in the laboratory. Nevertheless, given longer time intervals then significant morphological changes can occur — we are all entirely familiar with this through many everyday examples including the successive breeding of (for example) apple trees, roses and racehorses, to name just a few. We can think perhaps also of the selective breeding of different breeds of dog, which already over the geologically brief span of human history has resulted in impressive variations in size and shape ranging from the Pekinese and Chihauhua to the Afghan and Alsatian. These animals may superficially appear to be quite different forms, although for now they are still perfectly capable of reproducing with one another. Given longer periods of time, and crucially in combination with the geographical isolation of a small gene pool, then more radical shifts can and do demonstrably occur. We can readily observe how new species and genuses have formed on isolated islands within the geologically recent past (as in Hawaii or on the Galapagos) and on separate continents (such as Australia) as tectonic plates have drifted apart over much longer periods of geological time spanning many millions of years. You can find a fuller description of how this process functions in this post: How Evolution Works.